Need a new boiler in Hornsea? Get FREE no-obligation quotes now! 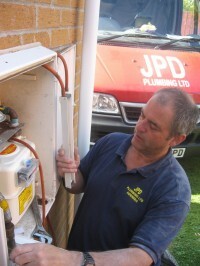 JPD Plumbing Ltd are Gas Safe registered heating engineers who undertake installations of gas boilers, oil boilers and LPG boilers. For similar replacement boiler companies in this area please visit the Hornsea boiler page. Fully qualified domestic plumbing and heating company, formed in 2003 to offer honest, reliable and professional service to the residents of East Yorkshire. Gas Safe Registered. OFTEC Registered and Registered Professional Plumbers with the Chartered Institute of Plumbing and Heating Engineers. All work is guarenteed and a 7 year Parts and Labour Warranty is issued on all our new boiler installations.